This course is in Spanish. Este curso es en español. This module will focus on understanding the diagnostic process and treatment options through the stages of dementia; facilitating medical decision making and addressing common concerns. Useful information will be provided about the importance of planning ahead; how to find services and resources along the way; how the pay for care; transition to residential care and care of the caregiver. This module was made possible by funding from the John A. Hartford Foundation. Self-paced voice-enhanced PowerPoint presentations, State and National resources and module evaluation. Content is of interest and helpful for patients, family members, caregivers and the general public. 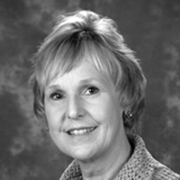 Jan Dougherty, RN, MS is Director of Family & Community Services at Banner Alzheimer’s Institute. She has over 20 years’ experience in the care of older adults with specialization in dementia care. Jan is noted for the development and evaluation of numerous programs that support patients/family caregivers with dementia from early stages to hospice care.